Rev. Al Sharpton, the MSNBC host and all-around holder of the race-baiting title, is actually speaking out about black teenagers who are playing the knockout assault-and-battery-attempted-murder “game” in New York City. In a piece posted on the Huffington Post, Sharpton wrote the following, in the first paragraph. My emphasis. It is an alarming trend that is spurring outrageous incidents across the country. 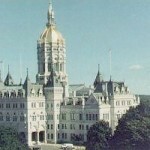 It is deplorable, reprehensible and inexcusable. It is insane thuggery, and it is unequivocally wrong. These kids are targeting innocent people, and in many cases specifically targeting Jewish folks. We would not be silent if it were the other way around, and we will not be silent now. This behavior is racist, period. And we will not tolerate it. I’m not going to claim these attacks are exclusively black on white, or black on Asian, or black on Jews. That said, the videos we’ve seen and the reports we’ve read indicate black teens are certainly the most prevalent aggressors. But it’s a big step for Sharpton to call these black teenagers racists. So much so, some people are wondering if Sharpton’s body has been taken over by aliens. I’m thinking something different. Eventually, Sharpton had to call these thugs for what they were. Racist thugs. If he didn’t, funding for his organizations would dry up. It’s that simple… I think. Follow the money. No, I don’t think Sharpton would do something simply because it’s the right thing to do. But don’t worry, there are still politicians and community leaders who suggest the knockout game – specifically in Brooklyn’s Crown Heights neighborhood – is partially associated with resentment triggered by “accomplishments of the Jewish community.” In a Facebook post on Tuesday, Laurie Cumbo, a councilwoman-elect from Crown Heights wrote the following. About 70 percent of the population in Crown Heights is black, and 9 percent is white which is inclusive of the Hasidic Jewish population. 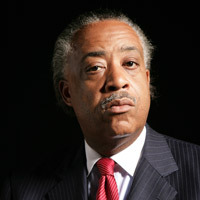 https://radioviceonline.com/wp-content/uploads/2011/08/square-al-sharpton.jpg 200 200 Steve McGough https://radioviceonline.com/wp-content/uploads/2011/02/rvo-logo-4-300x100.jpg Steve McGough2013-12-05 11:29:352013-12-05 11:29:35Hell froze over - Sharpton called teenage black knockout thugs "racist"
The Rev has had a spiritual awakening? Will miracles ever cease? So, Al the Sharpy finally denounced this “Knockout”? Took him long enough. The black on white and/or Asian violence has been going on for over two years. Attacking older victims is called “polar bear hunting.” I have heard other derogatory terms identifying the targets as Jewish. Al had to say something in order to get his hand out for federal grants to help understand this race-based phenomenon. It is not by accident that he had a sudden attack of conscience.? When is Obama going to come out and express his outrage over black ‘uths attacking innocent people because of their race? Or, is Obama only black when it is convenient for him? Hmmmm? Al didn’t go far enough. He should have branded these black thugs as cowards. Well at least Sharpton spoke out, he has more class than our President. That is not saying much, but that’s all I can say. There has to be something in it for any of these “leaders” to even raise their voice. Not for nothing, but doesn’t Old Al call EVERYONE a racist? I mean, you haven’t arrived until Old Al has called you out… especially if you’re a cracker!? I’ll be honest. I feel left out as I have not heard from the man. We would not be silent if it were the other way around, and we will not be silent now. Well the outrage took long enough, but welcome to the party ‘Reverend’.